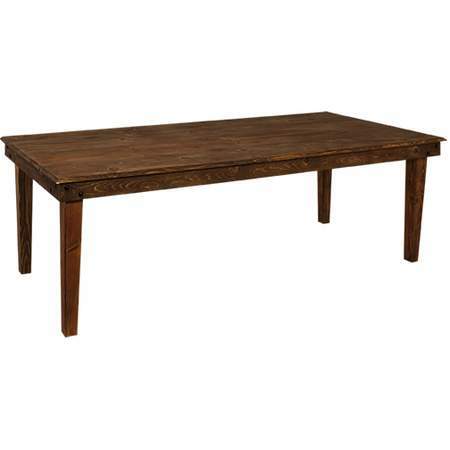 This is a beautiful table for weddings or any elegant event with a country chic look. Pair it with our stylish vineyard chairs to make it look amazing! Use a sash/tie for the center for an added feature. Seats 8-10 guests. 30.75" leg height. Size: 8' x 40" x 30.75"